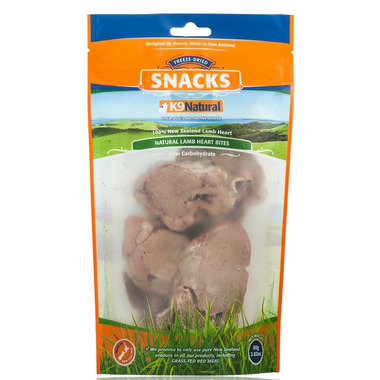 K9 Natural Freeze Dried Lamb Hearts Snacks are a high protein, low carbohydrate treat made from New Zealand lamb heart and nothing else. Filled with iron for vitality, simply snap a piece off and feed to your dog when you think he or she desires it. These delicious, healthy snacks are carefully created using the finest ingredients on earth and then freeze-dried to lock in the natural goodness.